So I use to have this guitar, and before the last forum died (RIP), I found this vid, more circus music. 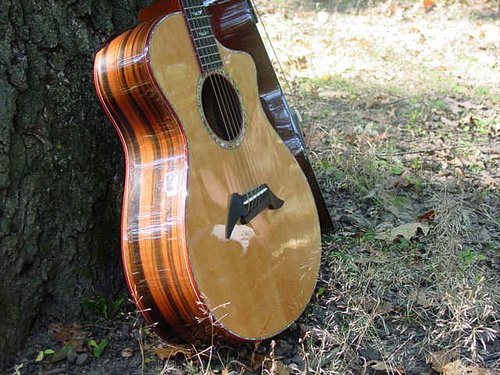 It was a really nice guitar, what a 12 fret 000 should be, in my opinion. Hey Neal, you have the video listed as "private." Cant watch it. Yep. Like the playing, like the tune, like the guitar. Good one Neal! Something to get my blood flowing and a little bounce in my step this morning. Thanks for posting. I've heard this one before, but it bears another listen. I too like the bouncy feel. Thanks Neal. Great lively piece. My ears or is that D string fretting out? Probably my tinnitus. Thank you! It's in C tuning, so the C string... probably just technique, I was a newbie all over again after a 5 year hiatus. The Breedlove was what brought me back to playing guitar again. Heck of a come-back. I took off 29 years (75-04) and what brought me back was...hmm. Nothing quite as inspiring as yours, probably. I'll remember it later. Had to be significant at the time. » Fish Cat Deluxe w/ Inflatable Seat For Sale..SOLD! !